Naohide Nakazato is Okinawa’s only professional ocarina player. 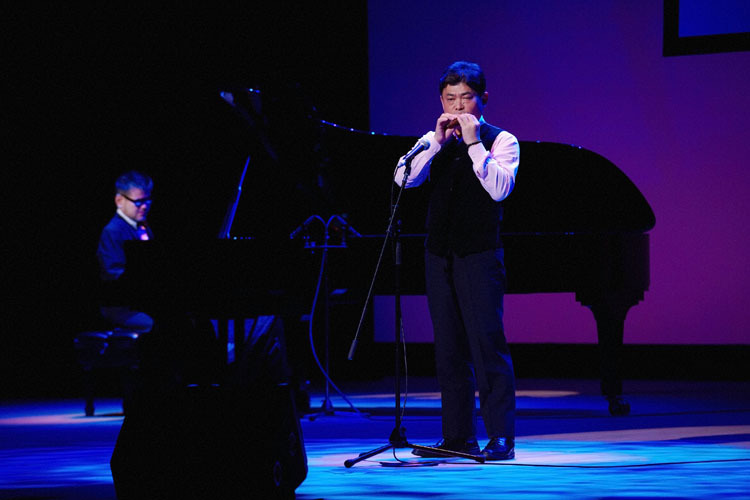 An ages old type of vessel flute, the Ocarina, will be the key to a special concert Sunday featuring Okinawa’s only professional ocarina player. The Ocarina Concert featuring Naohide Nakazato takes place on the fourth floor of Tenbus Hall in Naha City Sunday afternoon. Doors open at 1:30 p.m. and the program begins at 2 p.m. Advance tickets are ¥2,500, or ¥2,800 at the door. Ticket information is available at 090-1945-0899. The map for Tenbus is at https://goo.gl/maps/Hx9kz. Ocarina comes in various forms. Naohide Nakazato is not only Okinawa’s only professional ocarina performer, but one who has overcome hearing loss to master the instrument. As a young boy he developed his music sense from listening to rock and roll, jazz and classical music. After graduating from high school he played acoustic guitar and wind instruments in bars until one day when suddenly, the hearing of his right ear was gone. Although at one point he gave up music and was in despair, he received inspiration while watching a television program which showed a performance of a band whose players had disabilities and even general paralysis. After this, he began to study the ocarina in his own way and got sucked into its magical and sweet harmony. In this concert he will be playing with pianist Seijun Kuniyoshi, bass player Yoichi Majikina, drummer Akihiro Sunagawa and special guest female ocarina player Shino Kawakami. Ocarina is a type of vessel flute. Variations exist, but a typical ocarina is an enclosed space with four to twelve finger holes and a mouthpiece that protrudes from the body. It is traditionally made from clay or ceramic, but other materials are also used—such as plastic, wood, glass, metal, or bone. An example of an ocarina made of an animal horn is the medieval German gemshorn. The ocarina belongs to a very old family of instruments, believed to date back over 12,000 years. Ocarina-type instruments have been of particular importance in Chinese and Mesoamerican cultures. For the Chinese, the instrument played an important role in their long history of song and dance. 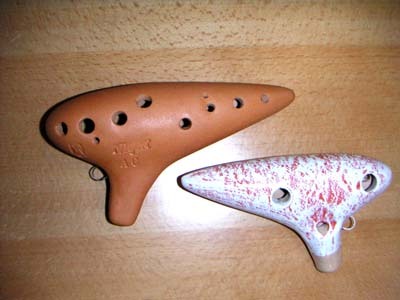 The ocarina has similar features to the Xun, another important Chinese instrument (but is different in that Ocarina uses an internal duct, whereas Xun is blown across the outer edge). In Japan, the traditional ocarina is known as the tsuchibue (literally “earthen flute”). Different expeditions to Mesoamerica, including the one conducted by Cortez, resulted in the introduction of the ocarina to the courts of Europe. Both the Mayans and Aztecs produced versions of the ocarina, but it was the Aztecs who brought Europe the song and dance that accompanied the ocarina. The ocarina went on to become popular in European communities as a toy instrument.